Whether your child was born deaf, experienced sudden hearing loss, or no longer properly benefits from hearing aids, an Advanced Bionics cochlear implant system may be an effective solution for treating your child’s hearing loss. AB’s cochlear implants have enabled thousands of children around the world to talk, succeed in school, and socialise with peers. As you and your child embark on this journey to hearing, you can trust that AB’s valuable network of hearing healthcare professionals, recipients, and parents of recipients will encourage, inform, and support you along the way. 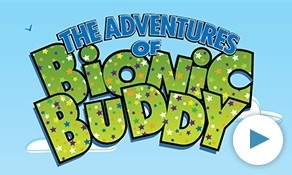 The Bionic Ear Association (BEA) connects you to parents of cochlear implant recipients who can offer one-on-one support throughout your child’s journey to hearing.